I’m at the @fly_BUR Burbank airport. 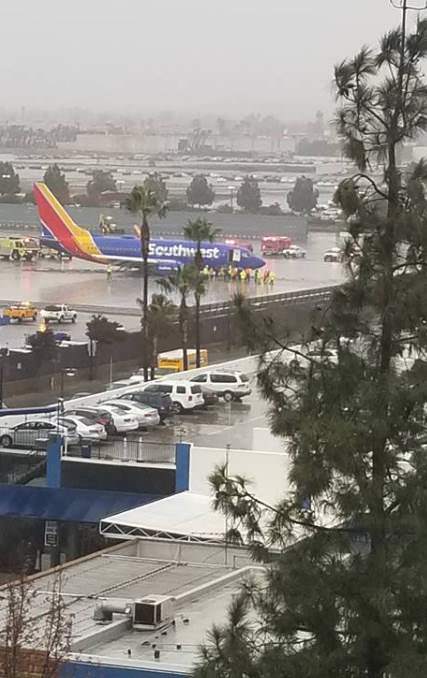 It appears a Southwest 737 slid off the runway. A witness in the parking garage told me he saw passengers evacuate by the emergency slides. Last edited by atcsundevil on Fri Dec 07, 2018 2:58 pm, edited 1 time in total. It's raining heavily today in SoCal. Socal can never handle rain! Looks like EMAS saved the day, would have been like the incident a decade or so ago, same runway and location. Seems like more of a Southwest problem. Runway 8 not even 6000'? The 737 is unforgiving on short runways. Add wet and a potentially unstabalaized approach and it’s the recipe for an overrun. BUR closed to arrivals - obviously. Some diverting back to their origin. Last edited by LAXBUR on Thu Dec 06, 2018 6:10 pm, edited 1 time in total. 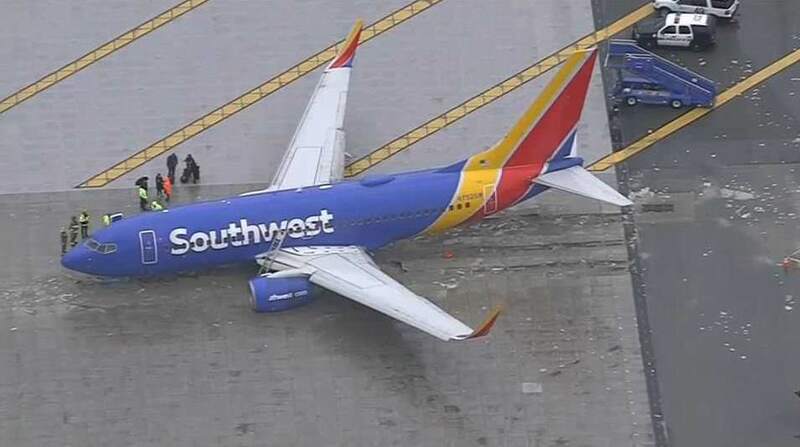 I'm hearing on the local LA media it is Southwest Flight #278. 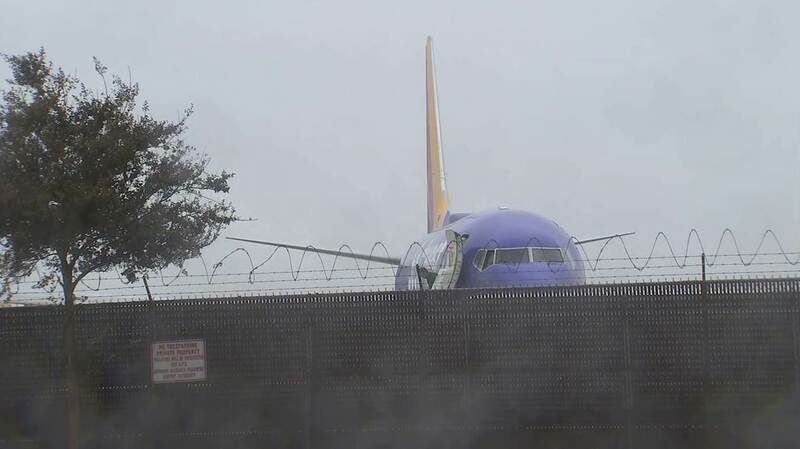 Listening to the Live ATC recording of it now, area of heavy precipitation was over the field at the time of WN278 landing. Glad to see that EMAS worked perfectly. Definitely. Chalk one up for EMAS. Could have been bad otherwise. Last edited by electro3k on Thu Dec 06, 2018 6:43 pm, edited 3 times in total. Oops! Time for duct tape! On a more serious note, looks like all the pax are OK! Must not have been going too fast at the point of reaching the EMAS. It didn't go very far into it. Actually looks like they steered left into as they were concerned about going deep into EMAS or going into the street again. I wonder how fast they were going when they hit it? Will be interesting to read the report on this one. Was the over run during takeoff, landing or taxi? They’re all done at the same speed at that outfit. It's been a *very* rainy morning here in LA. 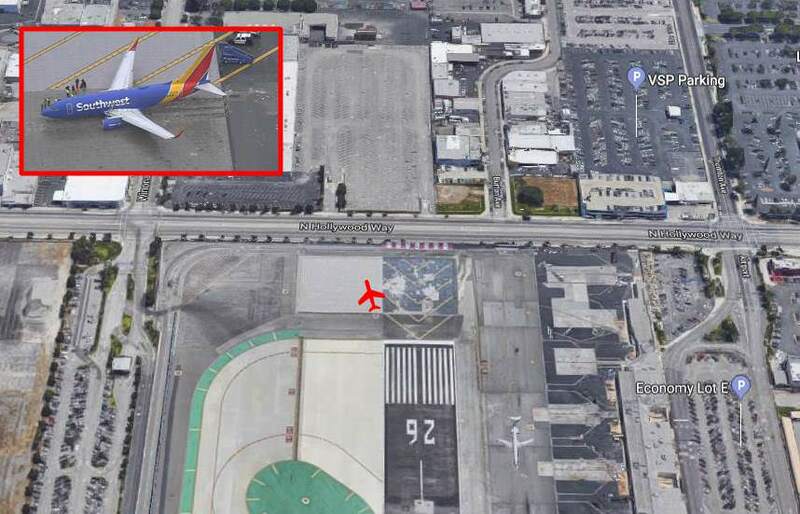 Landings at BUR almost always occur on 5,802 ft (1,768 m) Runway 8 since that is the only runway with ILS and clear terrain for approach. 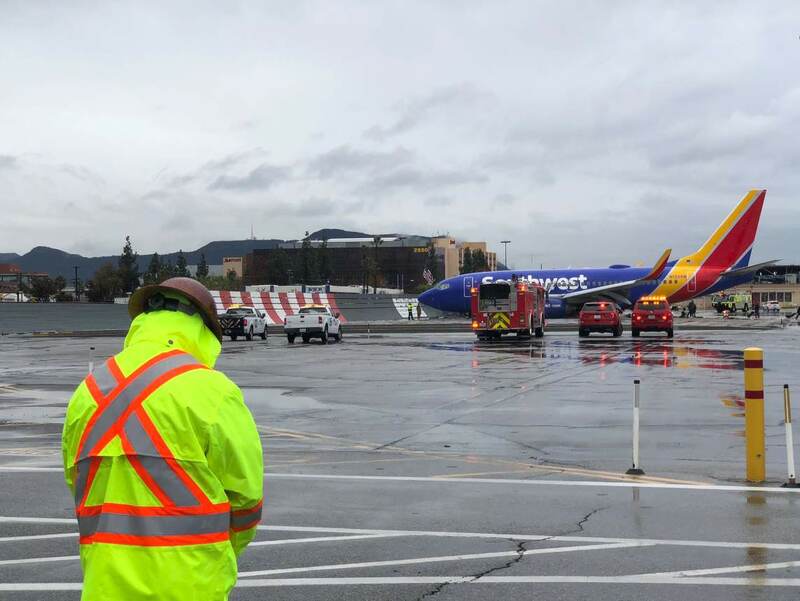 This will always be challenging on wet days like today (and March 5th, 2000) but runway extension is out of the question thanks to the NIMBY voters of Burbank. Looks like EMAS is the best possible solution given these operational constraints. 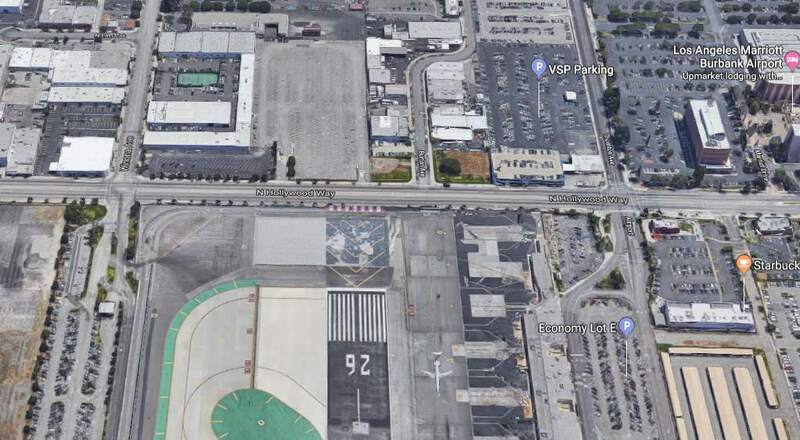 Are commercial ops banned at nearby VNY (Van Nuys Airport), where a nice 8,001 ft (2,439 m) runway is available? I'd agree with the veering to the left but based on how far into the EMAS they are; I would have to argue they were traveling at least 50-60 knots still. As I recall, the EMAS is roughly 200' long and is designed to stop a plane going 100 knots by the time you reach the end and the plane is about 120' into it. As stated several times in this post and linked news article... it was landing. Geesh. It’s a joke. Ever seen a southwest plane taxi? Cowboy central. This thread would be reading very differently if this was Lion in Indonesia. Thank God for EMAS! Looks like some nasty wx at BUR! Wonder what the underbelly of 752SW looks like now? Must be a mess. 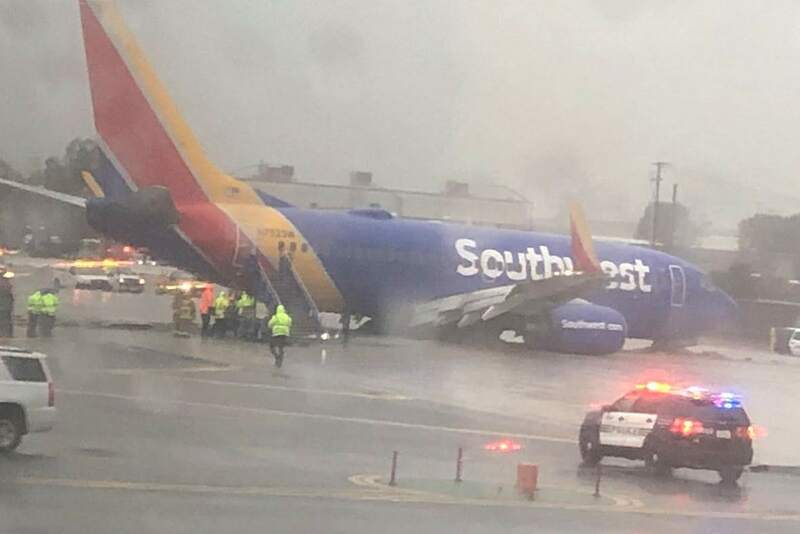 Glad all pax and crew are safe. 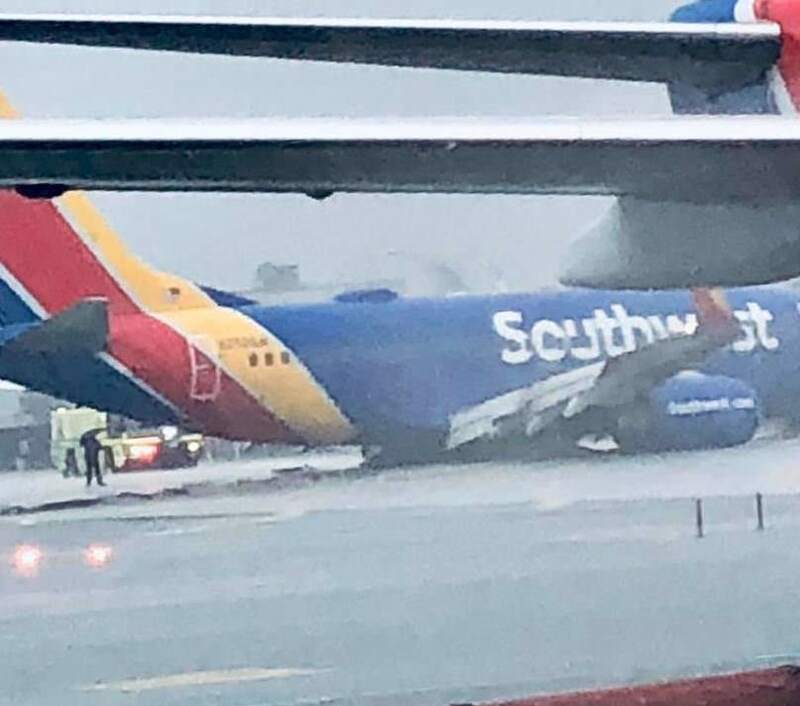 While I understand that the airport has strict rules on approach for safety and noise limits, like the previous crash there it is likely this plane came in too high and fast and compounded by the wet conditions. As this was built in 1999 this is for sure going to scrap after the investigation. WN is having a bad year after so many good ones. Last edited by ltbewr on Thu Dec 06, 2018 6:44 pm, edited 1 time in total. Who flies commercially into VNY? Isn't it just GA there? So the slights hurled at them and the comment that 737’s are unforgiving aren’t enough for you? Look at the bright side: they ended up within walking distance to Starbucks! They may not have actually steered left; airplane could simply have started veering left due to loss of traction. Or to fit in around here, WN. How is saying the 737 is unforgiving a slight? Fortunately the CVR/FDR will provide the insight into what took place here. Looks like a -700 and that is the most forgiving on short runways. The investigation results will be interesting to read. 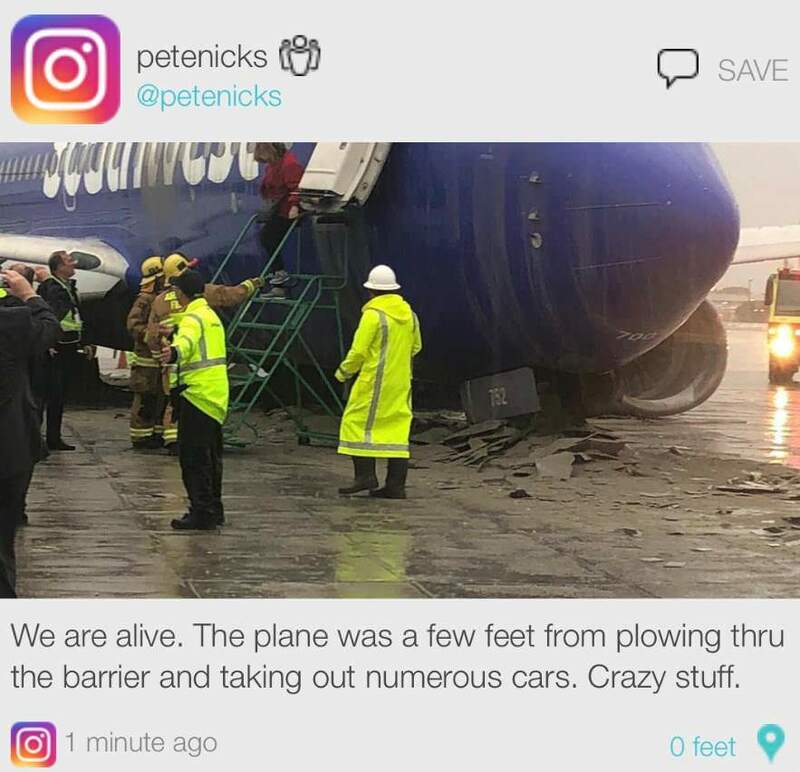 There is a very easy way to not be the object of internet humor for sliding off of runways. I didn’t say that was a slight. That Marriott also has a nice bar, as well as places to change one's pants. That's what I said. I'll take a venti Chai Latte with that banana bread. Thrust reversers were stowed so not sure it drifted or was steered. Looking at the photos they are almost halfway into the EMAS. The speed may have been significant at entry into ht EMAS? But why a DejaVu event with WN? So overruns do not just happen in Indonesia. Written off? Until they pull it out, we don't even know if there is serious damage. SW repaired the last one, and it suffered worse damage.